Each user of a mobile phone perfectly knows the moment when we move the cable in order to find the best position to charge it. It is even more difficult to find the space free from the danger of falling off or slipping of the device. Despite such drastic symptoms of contamination we don’t do anything – How can we save our phone then? First you should check if the cable is not to blame. In our service we often come across phones that do not need our help. If we have already checked that, we may proceed with next actions. Firstly – check how strongly the charging cable enters the connector. The effect of contamination is the increasing backlash of the cable in the connector. The connector is relatively narrow and deep and the cable itself should practically go to its end. If the cable does not reach the end and sometimes falls off/is loose, it means that the outlet is blocked. Secondly – clean the outlet. We do not realise how much dust, material, threads separate from our clothes and land in the least expected nooks – e.g. the connection charging the phone. While choosing a tool for cleaning we should avoid metal and hard materials because they may damage the joints in the outlet. Do not use also the objects that could be stuck and remain there, e.g. the strokes of a paintbrush or a simple brush. For this reason we may use a toothbrush cleaning one side of the outlet by sweeping, then another side. If the cable still does not reach the end, probably the dirt inside is so compressed that it created an adherent layer. We may try changing a tool for, e.g. a toothpick, but remember – you must be very gentle and do nothing forcefully. The damaging of the joints may end up in a service. 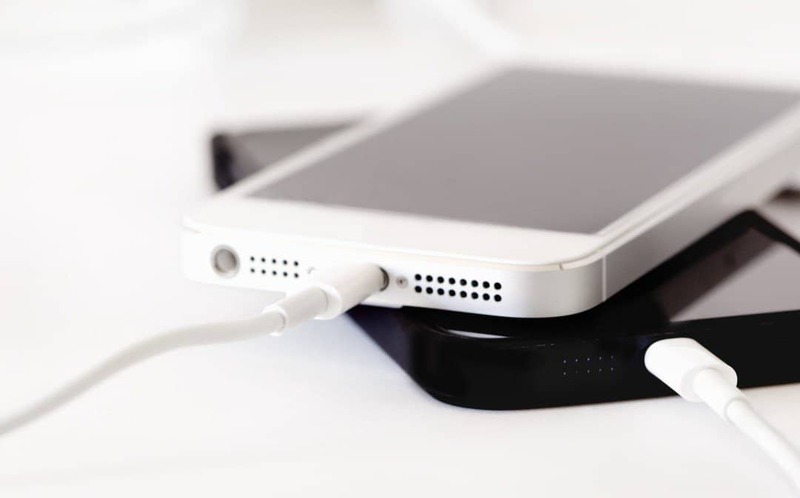 If your phone completely doesn’t react to charging, bring it for a diagnosis – we will try to help you revive your iPhone. Our service deals with such repairs as changing the joints for charging offering the original parts and providing our own 6-months guarantee.